With valentines day around the corner i thought it'd be fun to try out new drink recipes. 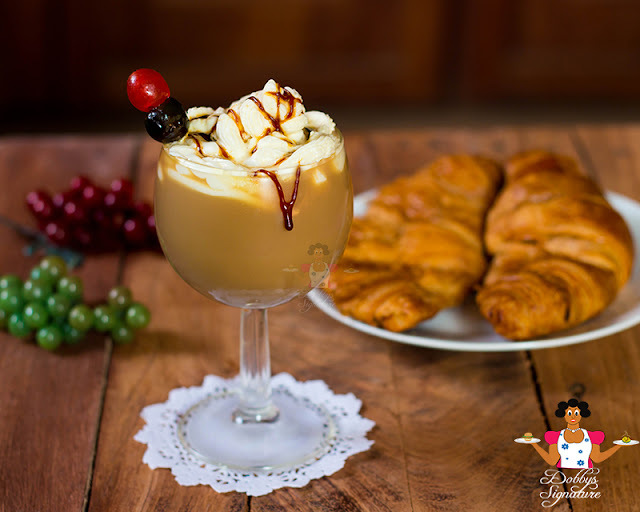 In comes this tasty chilled coffee frappe drink. 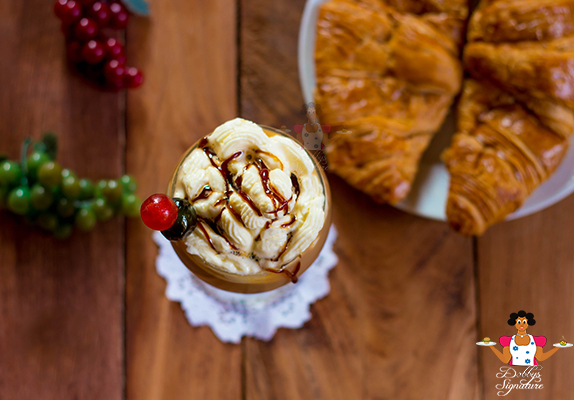 The word frappé is a french word which means chilled and a coffee frappe is a fairly thick sweet concoction shake made from a blend of water, sugar, milk, coffee, chocolate drink and ice, then topped with whipped cream and drizzled with chocolate. The end product is usually an ice cold beverage with an irresistibly rich sweet vanilla flavored chocolate drink with a hint of coffee. For a richer flavor, you could replace part of the ice cubes with frozen coffee then instead of it being watered down, it'd remain as strong as when you made it. Just insert your straw and sip. Step 1: Pour the whipping cream and whip till it's fluffy - Set aside. Step 2: In a blender, combine all ingredients; cover and process until smooth. 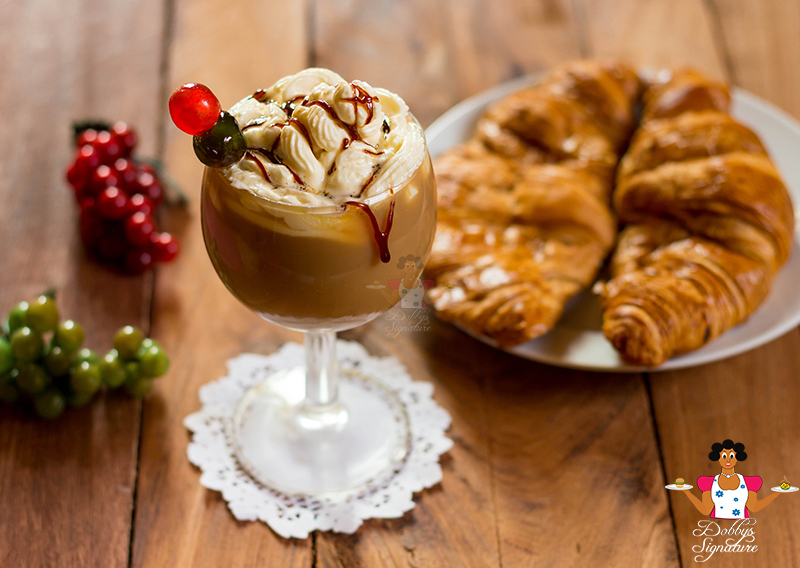 Pour into chilled glasses, top with whipped cream drizzled with chocolate syrup. Serve immediately. Wow! Dobby i love what you have here. It's awesome discovering this post. Thanks and keep up the good job cheers! awww! !Thanks alot for the compliments Anon. Glad to have you here. The name of the soup is Ofe Okwuru Ugba. Would put up the recipe soon.